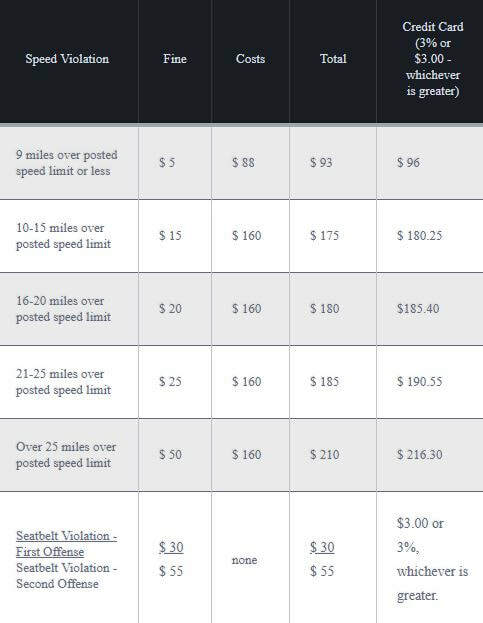 Below reflects the speeding violation, fine amount, and costs associated. * If you would like a receipt returned, enclose a stamped self-addressed envelope. * Some violations require a court appearance. For more information concerning any fees, contact the Circuit Court Clerk's Office at 731-364-3455.